GhillieTEX™ Quick Attach Surface Mount(QASM) buckle is designed to provide a one-piece solution to modular attachment point applications on the MOLLE/P.A.L.S. one-inch web systems. 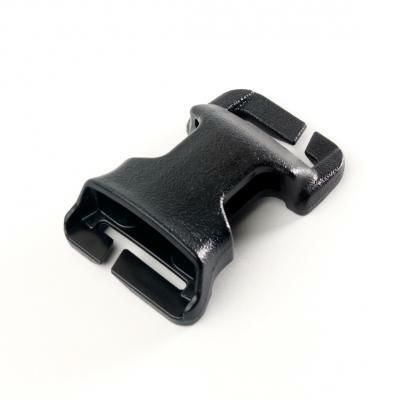 The QASM can be positioned anywhere on MOLLE/PALS and provides a secure interface platform for one inch male side release buckles. It allows modularity and custom fit adjustment for adding chest rigs, strap point attachments, pouches, or other platforms to the system. The Split Bar arms allow operators to install/remove the QASM without sewing or cutting.